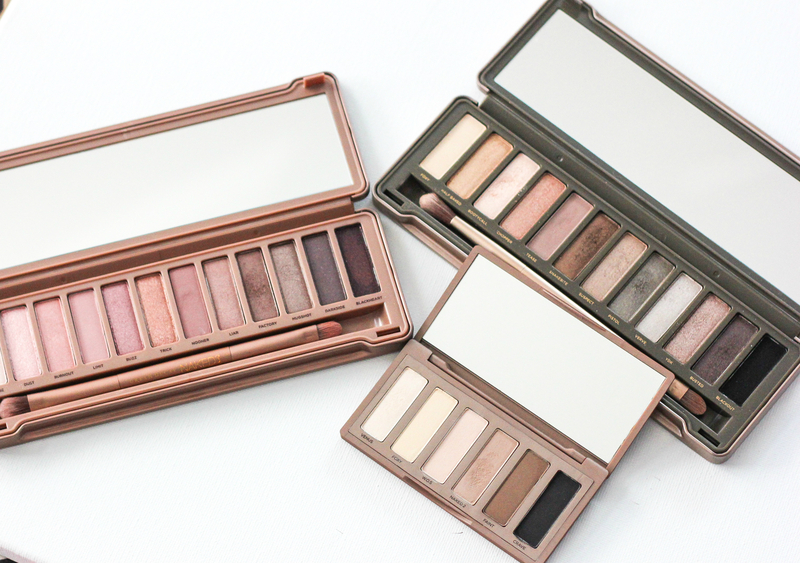 I've heard so much buzz about the Urban Decay Naked palettes; many beauty bloggers consider them to be the holy grail of eye shadows, praising their buttery texture and long-lasting quality. 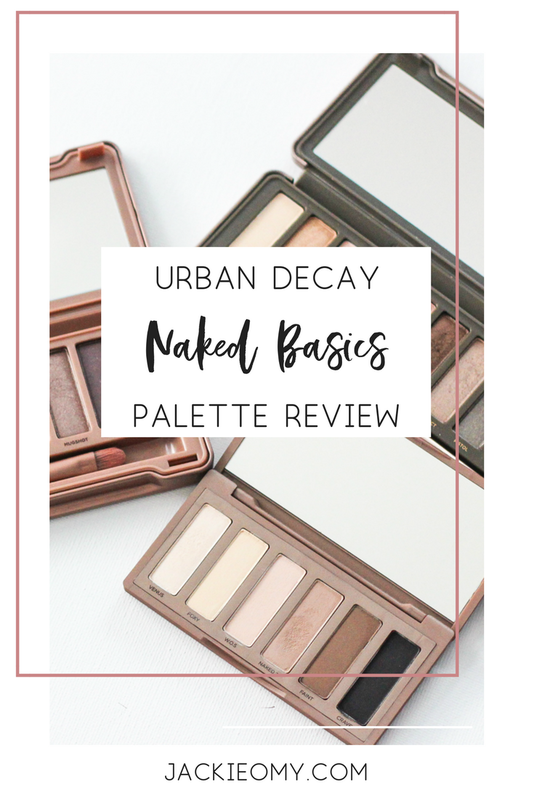 Since I've been on the hunt for the perfect everyday palette, I decided to dip my toes into the high-end makeup pool once again and try out the Urban Decay Naked Basics. 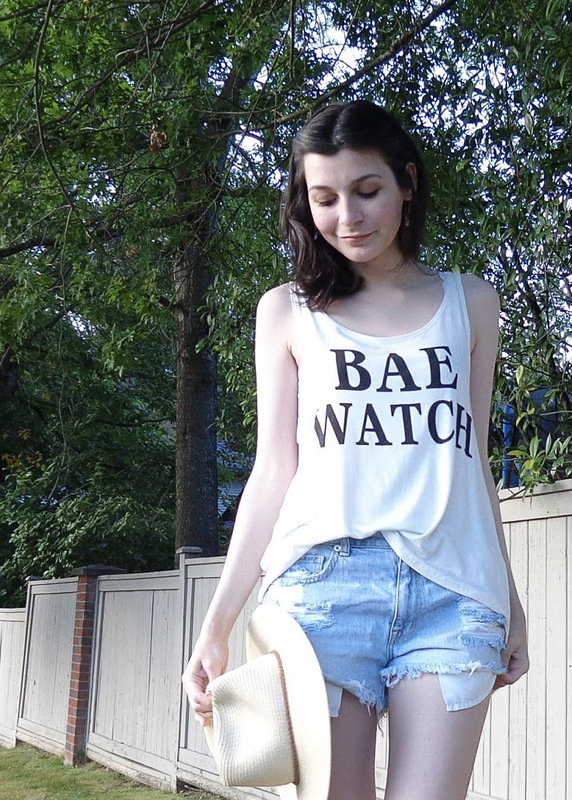 Read on to find out what I thought! I bought my palette from Sephora for $36 CAD. This is a travel-sized palette, and contains 6 0.05 oz shades; I feel this is a decent amount of product, and it should last me at least a few months. The full-size Naked Palette costs $66 CAD and comes with 12 0.05 oz shades, so assuming you're happy with six shades, you're not gaining much value in savings by purchasing the full size. However, many feel that this palette is too, well, basic, so if you're looking for a more dramatic look, the gorgeous glittery shades in the full sized palette would probably give you more to play with. The shadows are housed in a bronze compact with a little mirror inside; it's sleek and feels velvety to the touch. It's the perfect size for me, as it doesn't take up to much space in my makeup bag and stows easily in my purse. The six matte shades included are Venus, Foxy, W.O.S, Naked 2, Faint, and Crave; they're all neutrals and semi-sheer. I really love the versatile shades included in this palette. The shadows are rich, creamy, and pigmented. They feel pretty delightful. They blend very easily, build nicely, and even though I use a minimal amount, it lasts well into the evening. I didn't think there would be too much difference between this and my Maybelline Blushed Nudes palette, but honestly, the difference is pretty night-and-day. I could feel the quality difference during application. I didn't think this palette could live up to the hype, but I must admit I love it. It would have been my new everyday palette, except for one unfortunate occurrence: I awake to find my eyes red and puffy the next day. I am allergic, and therefore have to return my awesome new palette to Sephora (at least they have an amazing return policy!). In spite of this, I really do think this palette offers a great value, and I would recommend it to anyone who loves a natural, understated look. Have you tried this palette? What did you think?